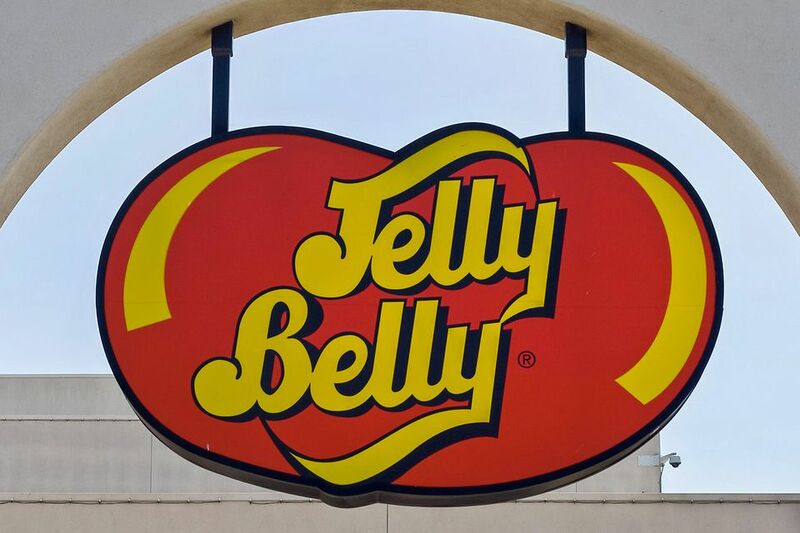 On the Jelly Belly factory tour, you can watch Jelly Belly candies being made. How fun is that? Their California factory is located in Fairfield, north of San Francisco. It's an easy side trip from San Francisco or makes a fun, quick detour on the way to Napa Valley. Inside, it's almost like a visit with Willy Wonka. The factory is a rainbow-colored sea of trays and bins. You'll learn that it takes seven to ten days to make each of the 1.25 million sugary beans finished each day. Those pampered candies take steam baths, sugar showers and get lots of rest. At the end, they take a spin in the "engrossing pan." That's a copper metal, clothes dryer-like contraption which applies four coats of flavored syrup and sugar. After they're polished, a printer emblazons the Jelly Belly logo on every one. Jelly Belly offers free, self-guided factory tours seven days a week, every day except major holidays. No reservations are needed. On weekdays when people are working, you will see the action from enclosed walkways above the factory floor. When the workers take a day off, you can still get an idea of how it all happens by watching their video. Ater the tour, head to the shop to buy "Belly Flops," imperfect candies sold at a discount. We polled more than 350 TripSavvy readers to see what they think about the Jelly Belly Factory Tour. Sixty-nine percent of them say it's awesome or good. That makes it one of the best-rated attractions in California. Reviewers at Yelp agree. More than 900 of them have rated it and give it an average of four stars out of five. Even people who don't like jelly beans seem to like it and fans of Jelly Bellies love it even more. The Jelly Belly Factory also offers a behind the scenes tour that they call Jelly Belly University. Small groups get decked out in lab coats, gloves and hair nets to venture into the heart of the factory. Reservations are needed and available 6 to 8 weeks in advance. They charge for tickets, and you need to comply with their dress code. Get all the details about Jelly Belly University. It's more fun to go when you can see the factory in action. That means weekdays that aren't holidays. The factory is quiet on weekends, holidays and during the annual plant shutdown at the end of June. You can use this calendar to find out what to expect when you want to go. If you get there early in the day, the place will be less crowded. The self-guided tour lasts forty minutes, but expect to be there an hour or more, especially if you go shopping in the factory store. Some visitors say you can buy the candies cheaper at Costco than the factory store. If you love chocolate as much as you like Jelly Beans, you can get your fill in San Francisco. To find the most innovative, delicious chocolate in town, use the Chocolate Lover's Guide to San Francisco. Jellybeans appeared in the United States during the Civil War. In 1976, the Herman Goelitz Company started making the official "Jelly Belly" candies. It happened when a California entrepreneur asked them for a jelly bean with "natural" ingredients. People consume more than 14 billion Jelly Belly candies every year. There are fifty "official" flavors at any time. New flavors debut as "Rookies." The most popular flavors in the United States are buttered popcorn, very cherry, licorice, juicy pear, and watermelon. Ronald Reagan ordered 3.5 tons of Jelly Belly candies for his presidential inauguration. The company invented the now-popular blueberry flavor so he could serve candies in red, white and blue. The Jelly Belly factory also makes more than a hundred other confections. They include candy corn and the first gummi candies made in the United States. The Jelly Belly Factory is about an hour's drive north of San Francisco, east of the San Francisco Bay. The best way to get there from San Francisco is I-80 across the Bay Bridge toward Oakland and Sacramento. The factory is off CA Hwy 12. Following that route round trip, you will pay two tolls: at the Carquinez Bridge while going there and on the Bay Bridge as you return. Both bridges have staffed toll booths.